I am a big fan of coconut oil for my hair. I usually use it as an overnight treatment for my bleached hair. It works wonders in adding moisture but I don't like the smell of coconut for my hair when I go outside. Luckily there is Pax Moly Organic Argan Silky Fortifying Hair Oil to the rescue. I have read good things about it and it is even called liquid gold in a bottle, let us know why shall we? Argan oil is called liquid gold for its color and for the reason that its really rare. I am so happy to have started using this. It smells like perfume except that this is oil form. It is easily absorbed by the hair so it doesn't really make my hair greasy. To be honest I also use this as before and after hair leave on when ironing my hair. I heard oils can fry the hair but it doesn't with this one. It might be with the hair iron I use because its for dry and wet hair however this oil makes it shinier rather than when I use nothing. Pax Moly Organic Argan Silky Fortifying Hair Oil makes my hair softer and tamed. No more frizzy waves. Sometimes I only use this on my ends to prevent split ends. I also tried using this argan oil as a massage oil and it does the job. P500 with trusted Pax Moly resellers. I tried different hair leave on which does nothing. 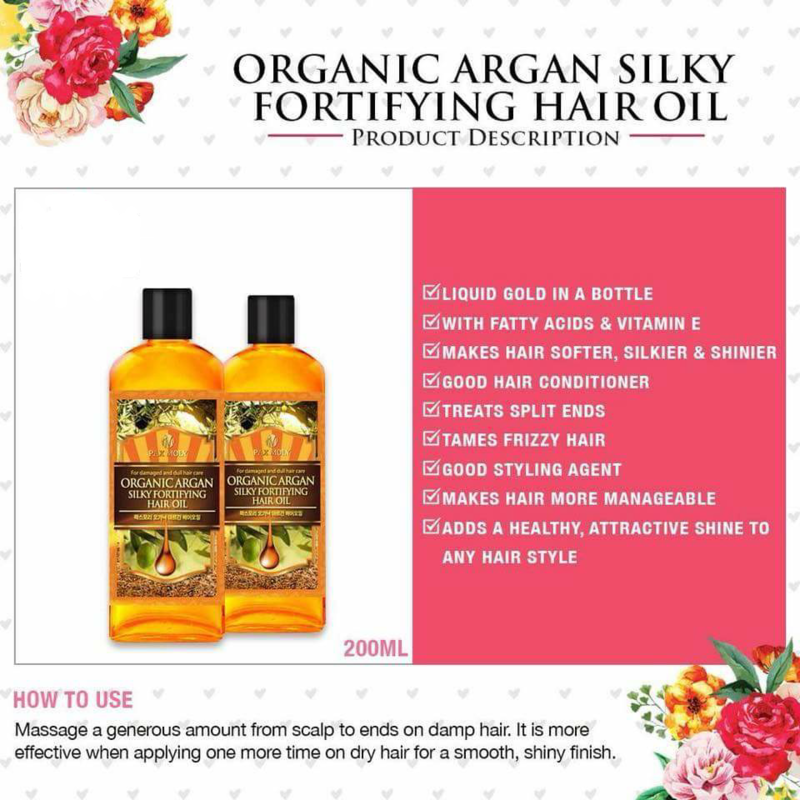 Pax Moly Organic Argan Silky Fortifying Hair Oil simply does the job and I am glad that its all natural. It does all of the things it promises and its worth a repurchase. How about you what is your favorite hair oil or hair leave on product?